Palante Tech is proud to have worked with the US Federation of Worker Cooperatives and the Democracy at Work Institute to launch their new websites. Both sites are tightly integrated with the CiviCRM implentation that Palante also developed for the USFWC, allowing USFWC members to access member benefits and materials online, view member-only resources in the DAWI Resource Library, and be featured along with service providers in USFWC's online directories. In collaboration with the New Economics Institute, Palante Tech launched a microsite for New Economy Week, an initiative put forth by the New Economics Institute and set to take place from October 12-18. Palante Tech is proud to have been part of the first Trans*H4CK Hackathon for Transgender Empowerment, held from September 13 through 15 in Oakland, CA. Teams of participants collaborated on tech projects with the goal of benefiting trans and gender non-conforming communities. Worker-owner Jack Aponte spoke on the Saturday panel on Gender and Technology. Check out the results of the hackathon at http://transhack.org/, and keep an eye out for future Trans*H4CK events! 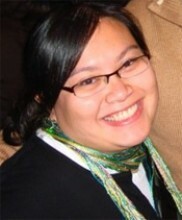 Palante Tech has hired a new member of our cooperative, Nina Reyes. Nina comes to us via our colleagues at Rayogram, and brings many years of Drupal experience with her. We're excited to have an awesome new member to work with, and are excited about the additional capacity this provides us to serve our awesome clients! Read more about Palante Tech Welcomes Nina! As part of our commitment to the worker cooperative movement and open source business principles, we want to make the documentation that runs our business freely available. To that end, today we're opening the "PT Commons", a repository of internal documents that may be of interest to other cooperatives and tech providers. Find it at: https://hq.palantetech.coop. For new and forming cooperatives, you'll find documents like our bylaws and certificate of incorporation. For folks doing similar work, you'll find technical documentation about how we do our job. Over the coming weeks, we'll be reviewing more of our internal documentation and making it available online! If there's a document you'd like to see right away, feel free to let us know. A common need when creating Drupal content types that include geographic info: a key|value formatted list of US states and territories that can be dropped into the allowed values attribute of a field. I found this great start, a list of all the states, then added the territories and their postal codes from Wikipedia. Hope this helps someone else!